Huawei’s private partner in Hong Kong, Skycom Tech Co. Ltd., and with operations in Iran, offered a proposal which contained about €1.3 million worth of Hewlitt-Packard equipment to be sold to Mobile Telecommunication Company of Iran (also known as MCI, not be confused with the former US long distance company). The deal was part of a larger proposal presented to MCI by Skycom, in what Huawei called a “bidding document,” to aid MCI in the expansion of its subscriber billing system. Huawei issued a statement that its business in Iran is compliant with UN, US and EU sanctions and that it requires the same compliance with its partner companies. In the end, no HP gear was provided to MCI. 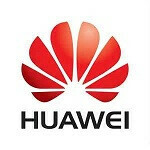 Unfortunately, it does not help Huawei’s image in the eyes of regulators and policy makers in other countries, particularly the US, where investigations revealed that Huawei may be involved in espionage on behalf of the Chinese government and has resulted in strong admonitions from the US government to encourage companies not to do business with Huawei or its Chinese-based competitor, ZTE. Huawei was implicated in a similar deal related to the proposed sale of antenna equipment manufactured by a US company, CommScope, Inc. Along with other concerns about the company’s practices, this only reinforces the notion that China is the back-end-conduit for forbidden US computer equipment. Huawei’s agreement with CommScope is such that CommScope’s products get integrated into gear that Huawei manufactures, so proposals involving those components could be simple mistakes. Huawei is the world’s second largest telecom gear maker. However, the contract between HP and Huawei is a distributor agreement and HP prohibits the sale of its gear by partners and distributors to any entities in Iran. The proposal to MCI prominently showed HP equipment to be the backbone of the design presented. Based on the documents viewed by Reuters, all marked “Huawei Confidential,” the €1.3 million in HP equipment included a server, 20 disk arrays and 22 switches, plus software. The whole proposal came to about €19.9 million. As to Huawei’s relationship with Skycom, there appears to not be much, if any daylight between the two companies. Sources say that Skycom employees in Tehran wear Huawei ID badges, and that the two companies basically share a headquarters China. The Chinese (and Russian) is the reason why Iran can continue with their Nuclear program while World community are helpless. If proven guilty I think Huawei must be banned from selling their product outside China. China was behind the genocide in Cambodia, China is the reason why the cruel regime still rules in North Korea and is used as Beijing's bargaining tools. China supports host of dictatorships around the world for financial gains. The Chinese communists are evil. You Americans have a mania flip, twist and re-create the events in your favor so absurd and pathological. read a history book or stop being the world's greatest terrorist threat (according to the UN resolutions and political scientist Noam Chomsky), it would be very good for the rest of the civilized world. Well thats just misleading, its clearly Skycom Tech Co. Ltd. that selling the equipment, not Huawei. €1.3 million worth of Hewlitt-Packard equipment is practically nothing. Way to show EXTREME BIAS there, Maxwell R. There's a reason why everybody hates our guts, and you're not helping. Check out the source article. Reuters is hardly pro-American in anything and the service has been running stories about Huawei and ZTE all year. Skycom and Huawei are essentially the same company based on what Reuters is reporting. Huawei's ownership and influence has been suspect for quite a while, and China is notorious for treating IP in a manner to its own benefit. Dude this may be only the tip of an iceberg.